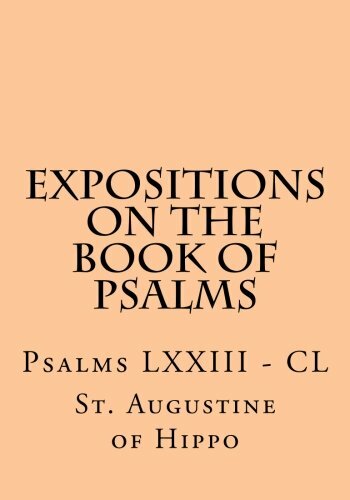 Augustine’s Expositions of the Psalms are the longest of his works and the richest in spiritual doctrine; they form the only complete treatise on the Psalms in Patristic literature. They do not present a historical-philological interpretation, but rather a theological-spiritual one based on the doctrine of the Christus totus: the Psalms resound with the voice of Christ, of the church, and of the individual faithful. The content treats all the important themes of Christian doctrine and includes philosophy, theology, spiritual doctrine, and mysticism. Augustine has particularly developed the themes of the mystical body, of the two cities, and of the ascent of the soul to God for which the lyric tone of the Psalms provide the wings. The composition of this work extended over a period of time from 392 (1-32) until 416 or, according to some, up until 422 for Psalm 118. The work can be divided into two classes: expositions which were dictated and expositions which were preached. The dictated expositions can be further subdivided into three groups: brief exegetical notes (Psalms 1-31, with a few exceptions), longer expositions (67, 71, 77 and others) and homilies intended to be read to the people. All the rest are sermons delivered before the people in various cities, mostly Carthage. The text on which the commentary is based is a Latin translation of the Septuagint revised by Augustine himself.